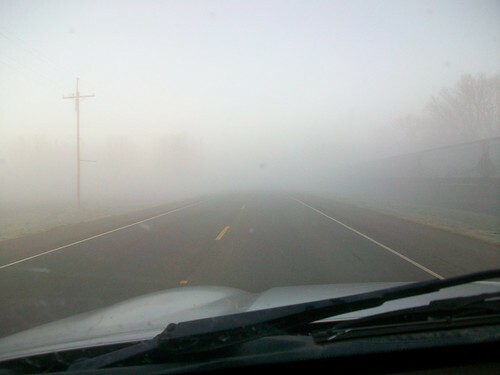 Instead of quickly getting home from the store or work along your usual route, you are driving 5 mph through a ghostly white fog, where nothing is familiar, and you have to blink repeatedly to keep what little road you are seeing from becoming a total blur. Always on the lookout for possible taillights ahead so you don’t run into someone and have an accident. By the time you arrive at your destination, you’re so wiped out from the intense concentration you can’t even think of doing anything else! Usually a headache, fatigue and inability to concentrate further set in once you’re home. Often you need a nap after such an effort! That really is not an extreme comparison! When I hit rock bottom three years ago, I literally needed 3 naps per day for me to function. Not my house or my family—me. It’s easy to feel you are going crazy–you used to be able to get so much done! Perhaps you even were in a job or position where you were the one making major decisions–and now you can’t even decide what to wear, let alone what to make for supper! Just like you don’t drive 60 mph in a thick fog, neither can you keep going full bore ahead when you are challenged with adrenal fatigue. Many of us push ourselves with exercise, dieting, work, activities, ignoring the warning signs of an impending “fog”. I have said it before–to be simplistic–there are two ways AF happens. The slow drain, where you just feel increasingly more tired, more fuzzy-headed, less able to handle normal stresses, noises bother you, things get on your nerves more easily….then there’s the “hit the brick wall”. You’re going along involved in a home-school co-op, running a home business on the side, keeping the books for your husband’s business, homeschooling your own children, leading music at your church and WHAM! All of a sudden you can hardly get out of bed before noon! The first is like a fog slowly rolling in. You can see it coming, but it doesn’t look too bad, so you keep driving. Eventually, you are enveloped in the white misty shroud and are forced to slow down. The second scenario is like driving 75 mph on the interstate, making great time to get to your destination when you have to slam on the brakes because you are suddenly in a foggy white-out! Obviously both are dangerous, but the “hit the brick wall” type usually is quite serious and may take longer to recover from. Often there are “warning signs” that we ignore, to our peril, much like ignoring fog warnings thinking we’re not driving that way so we’ll be okay. Over my next two posts, I’m going to explore more about being in a fog and give you tips to help you find your way out to clearer, blue-sky thinking! Love it Trish you are bringing out details of how this whole AF derails our life if we don’t take care of it. Thank you for taking the time to share this with us! Thank you for putting words to how I have felt for so long. I look forward to reading your next articles about this!